Next > Cheryl Cole Rocks ! hello.. it`s looks extremely delicious ,, save me some after my diet 😛 lool ely madri meta eb yabdi , oo 7ada wagt el coffee ..
That cup of coffee is making me crave coffee and that’s the last thing i want to have, it will only make me stay up longer. Is that Kanafa? 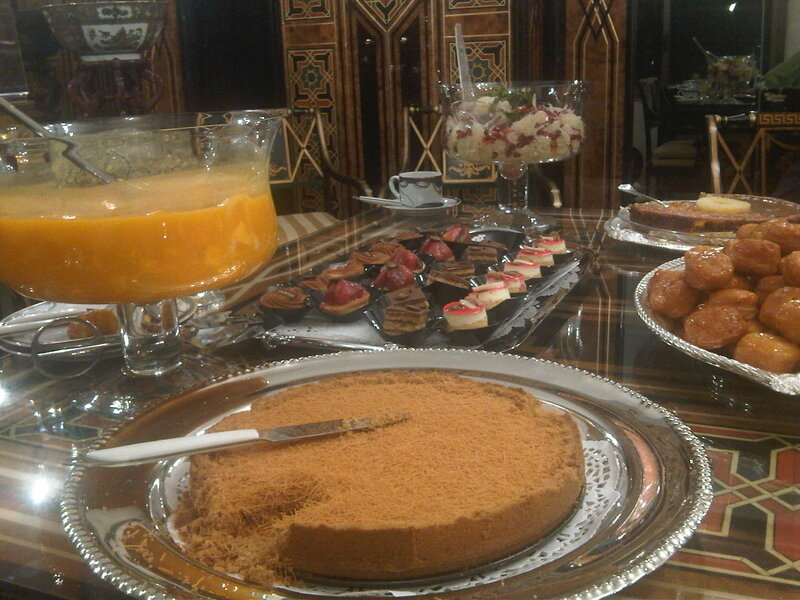 yum yum, the desserts look scrumptious!